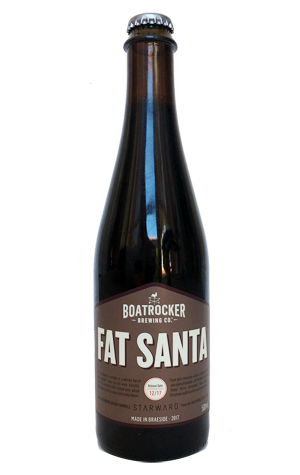 Thus Fat Santa merely started out being aged for six months in Starward barrels (that had previously held red wine) before being racked onto whole coffee beans, vanilla beans and tonka beans. The idea was to end up with a beer featuring "all the things that Santa loves" and has resulted in something that makes it easy to see why he carries such a big gut around on his sleigh. It's a boozy dessert in a glass: whisky, dark fruits, chocolate fudge, vanilla, almonds, coffee... Essentially, it's the imperial stout equivalent of being asked if you'd like one more round of pudding when you're already about to burst your belt on Christmas Day and then, under duress of grandma's pleading eyes, shrugging and going: "OK then, if you insist..."